By far London has been the most international city that I’ve visited in Europe. This global city is one of the world’s leading financial centers that is filled with culture, architecture, art, and fashion. What I also love about this city is the diversity. Since I grew up in the Bay Area in California, I had always been around different cultures. However, my home in Italy severely lacked this. I think I enjoyed this city so much because it kind of reminded me about home and being in a diverse environment. I spent four days in London since I had heard it was a huge city. I was shocked when I arrived to witness how big the city actually was. There’s so much to do here from going to the numerous museums, sightseeing, checking out cool/hip markets, hanging out at the parks, or eating all the different kinds of cuisines! Fish N’ Chips with a Side of Mushy Peas at Poppies. View of Palace of Westminster from the London Eye. Selfie Inside the London Eye. View of Buckingham Palace from the London Eye. Getting around London is super easy because they have a great metro system which takes you all over the city. However, since the city is so big it still takes you awhile to get to places. Our first night we ate at Dinings, a modern Japanese restaurant. I had been craving Japanese food since I am Japanese after all and Italy doesn’t exactly have good sushi. Special of the Day (7.5/10). 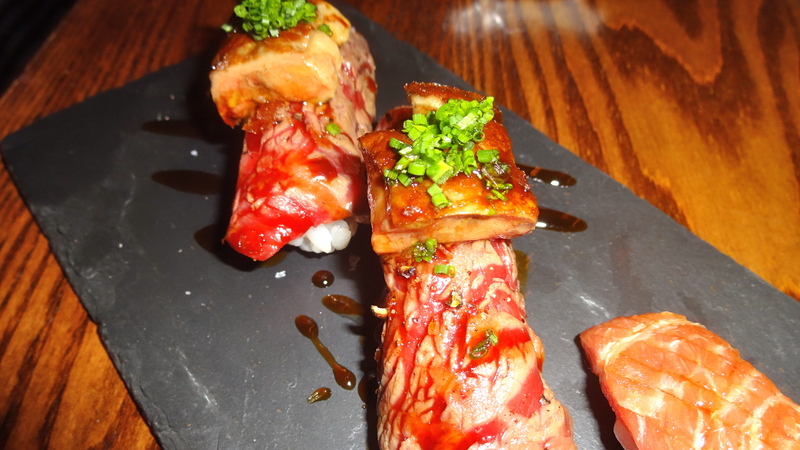 Wagyu Beef Nigiri with Foie Gras (8/10). All the small plates we ordered were sooo tasty. 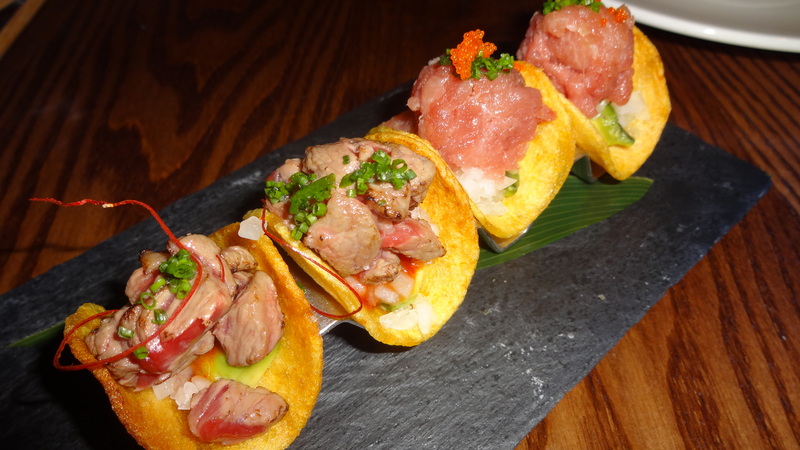 One of the best bites we had was the wagyu beef nigiri topped with foie gras. I mean talk about extravagant! The problem is that I can eat forever at these kind of restaurants! I would have ordered more delicious food but London isn’t the cheapest city in the world. Dinings is a bit pricey but serves high quality fish and meat so I would have to recommend it for innovative Japanese food. Therefore, my overall score is a 7-7.5/10. Our second night in the city we dined at Dinner by Heston Blumenthal, a two Michelin star restaurant in the Mandarin Oriental Hyde Park Hotel. 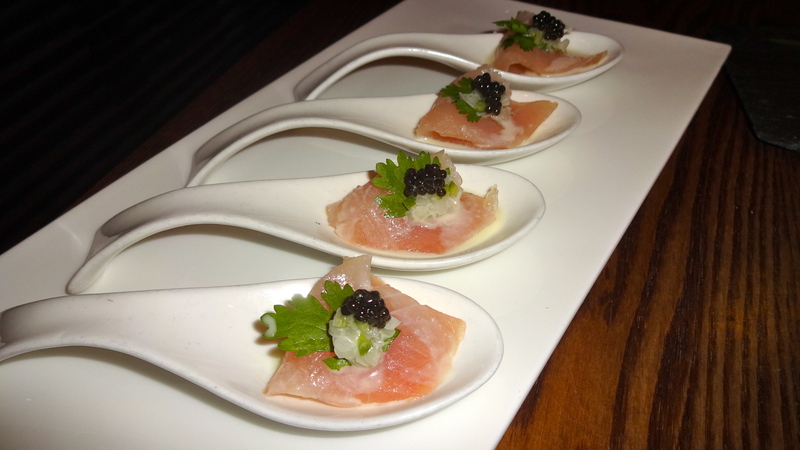 What’s really cool about this restaurant is that the food takes inspiration from historic British gastronomy. 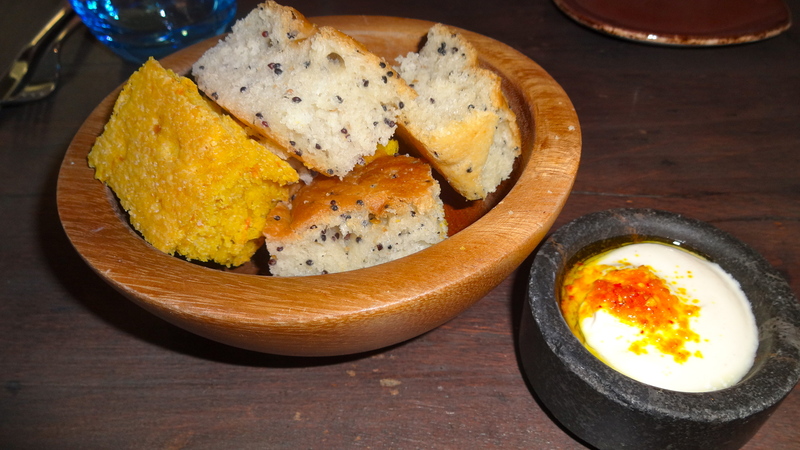 They take old recipes from early as 1300 all the way to 1900 and totally reinvent them. 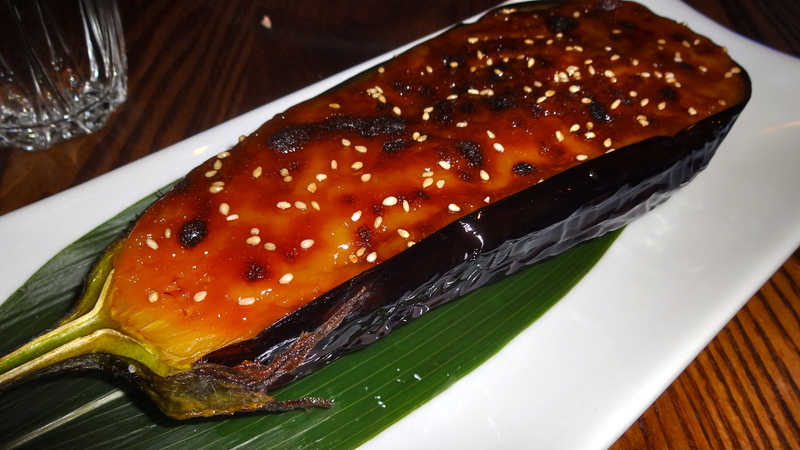 If you look on the menu, each dish has a date next to it with a year referring to when the original dish was created. On another menu, it tells you the cookbook or recipe where the original dishes came from. 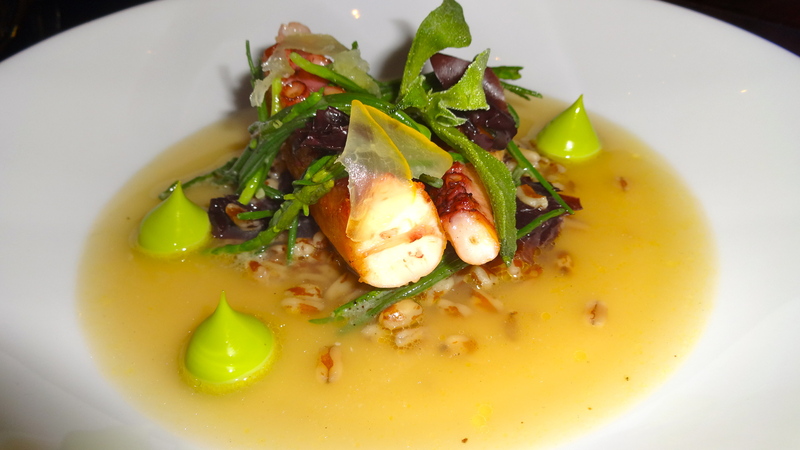 Grilled Octopus with Smoked Sea Broth and Lovage, c.1390 (8.5/10). “Meat Fruit”, c. 1500 (9.5/10). Spiced Squab with Artichokes and Ale, c. 1780 (7.5/10). 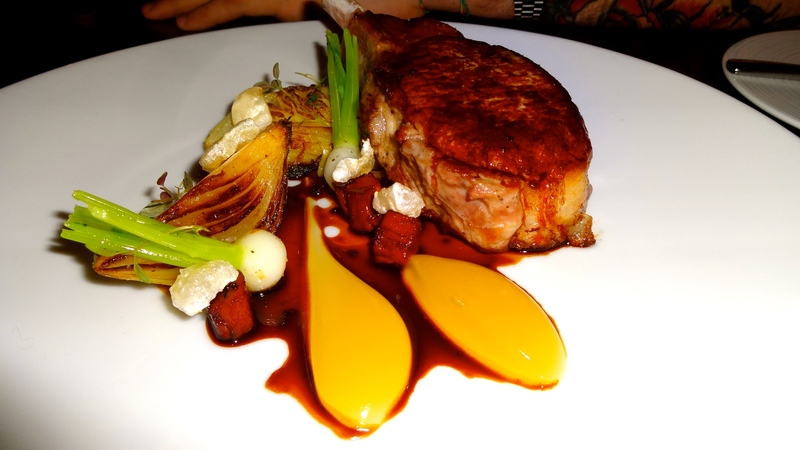 Iberico Pork Chop with Cabbage, Confit Onion, and Apple, c. 1820 (7/10). Tipsy Cake Soaked in Brandy and Sauterne with Spit Roasted Pineapple, c. 1810 (9.5/10). 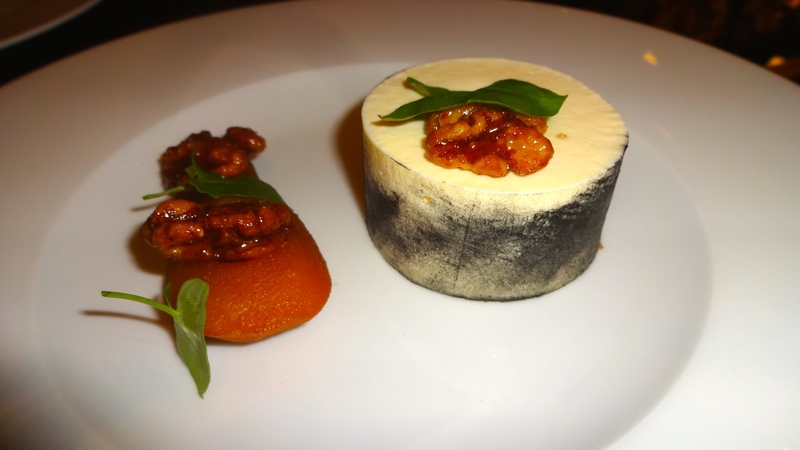 Goats Milk Cheesecake with Elderflower, Perry Poached Pear, and Smoked Walnuts, c. 1390 (8/10). Wow, what a fantastic meal we had here! First off, I loved the open kitchen! 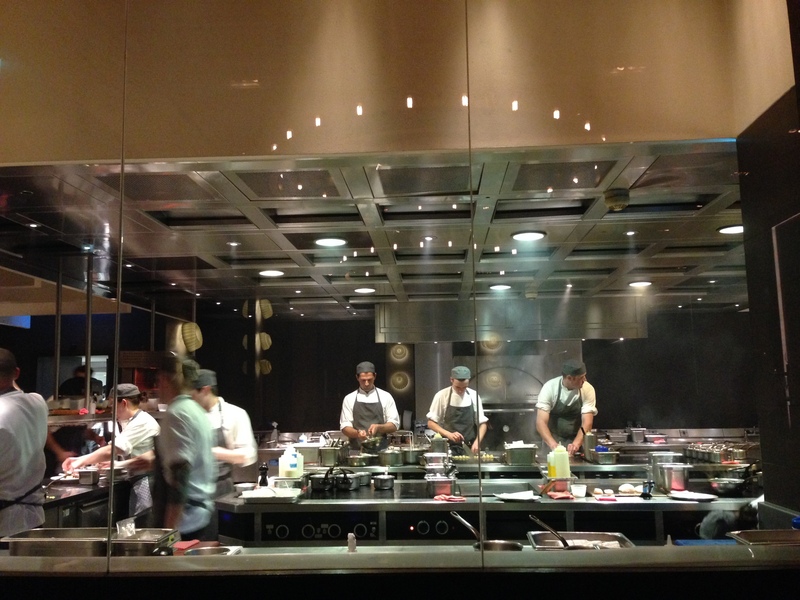 Our table was right in front of it and as a cook I loved seeing all the chefs hard at work. 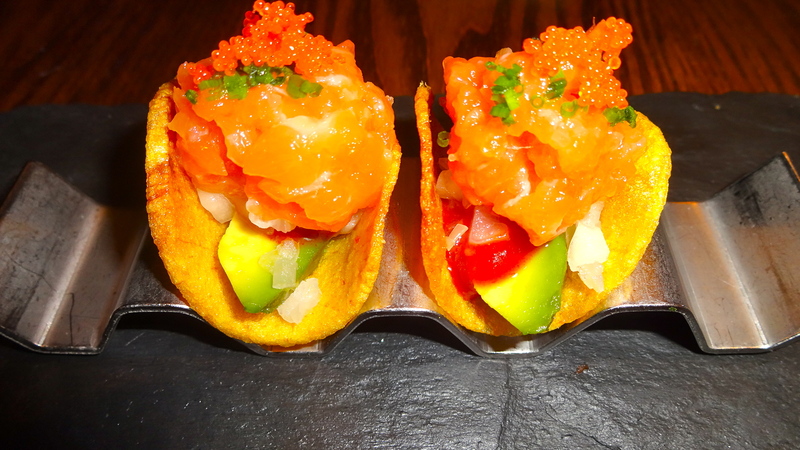 Of course all the dishes were amazing but two in particular stood out. 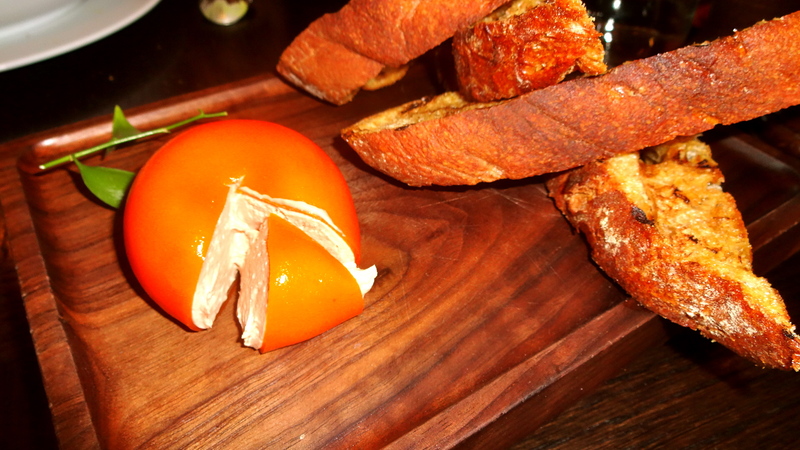 First, the “meat fruit” was unbelievable! I mean out of this world delicious! The presentation was superb, a perfect life size looking mandarin even with a leaf on top. The outside is made of mandarin jelly and once you cut into it a creamy rich filling comes out made from chicken liver and foie gras. True indulgence! 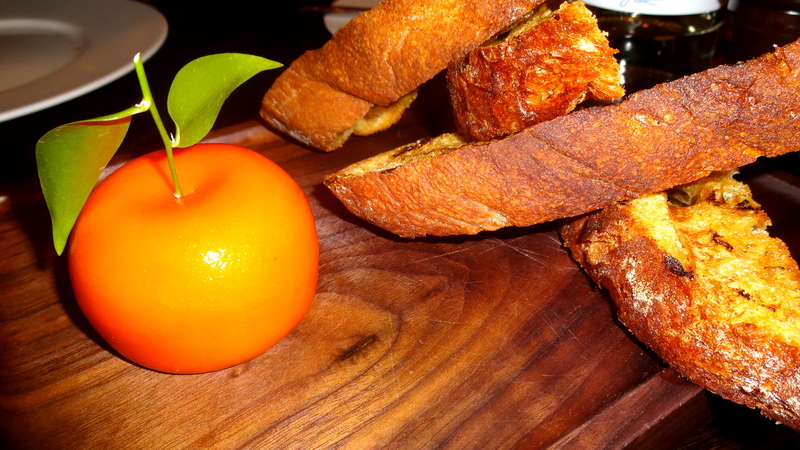 Smeared on grilled bread was the perfect way to start off our meal. 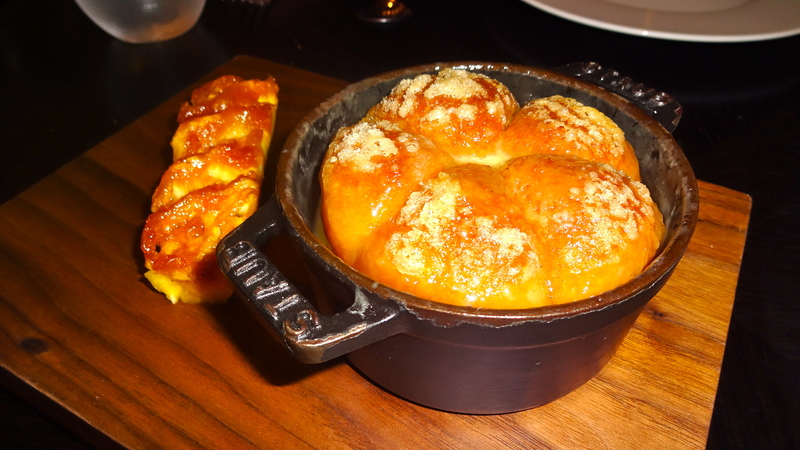 The other showstopper of the night was the tipsy cake, one of the restaurant’s specialities. This airy fluffy cake soaked in liquor literally melts in your mouth. It’s served with a piece of spit roasted pineapple and you can actually see whole pineapples roasting on the spit in the kitchen! 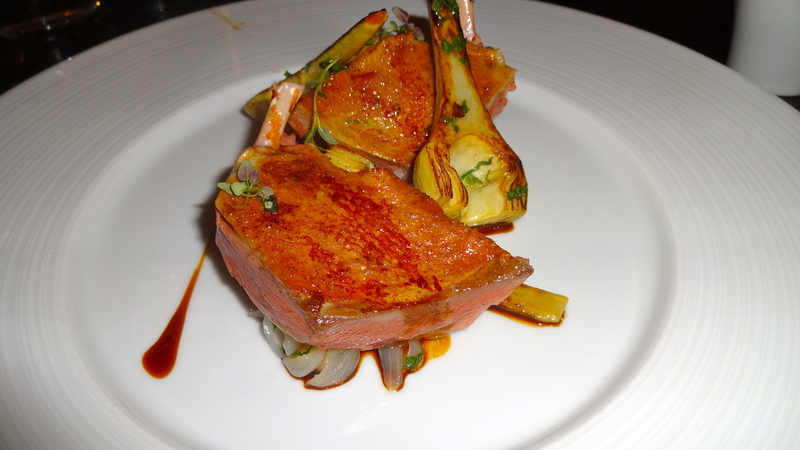 I thoroughly enjoyed my experience at Dinner not only because of the creative food but also because it was a nice change from all the gourmet Italian restaurants that I had been eating at. I would rate my overall experience here a 8.5/10. Our last night, Tommaso and I ate at Lima, a one Michelin star restaurant. I had actually watched Staff Canteen’s video about the chef, Robert Ortiz, of this restaurant and decided to give it a try! The food is contemporary Peruvian which intrigued me since I had only eaten Peruvian food back in California but never in Europe. 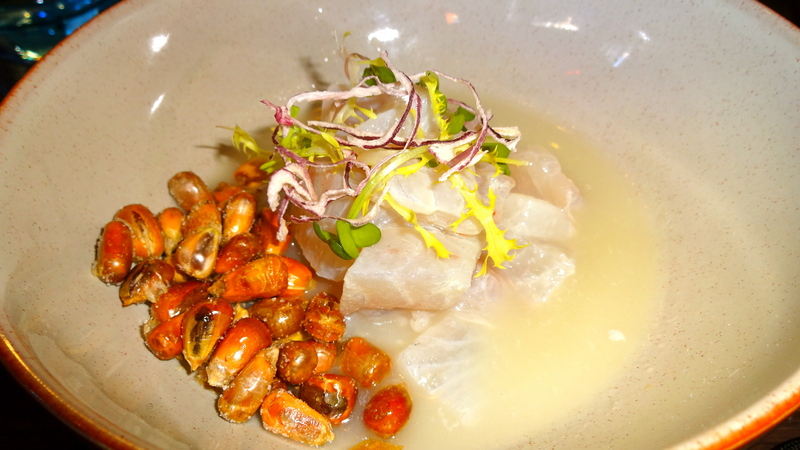 Sea Bream Ceviche with Cancha Corn (7/10). 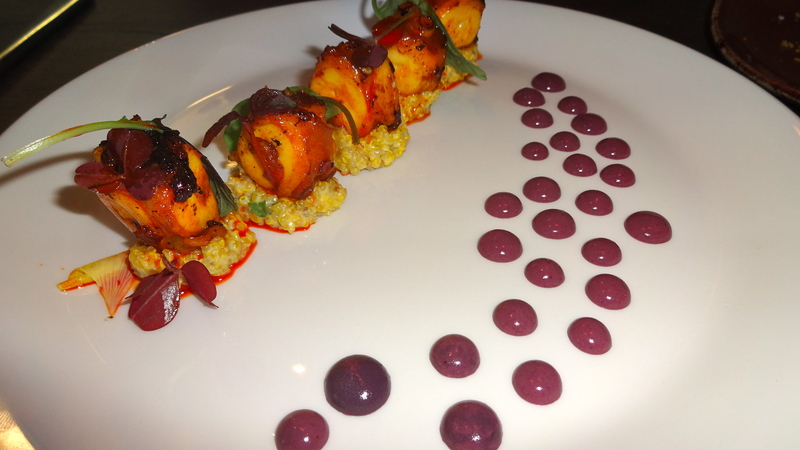 Octopus with Quinoa and Olive Sauce (8/10). 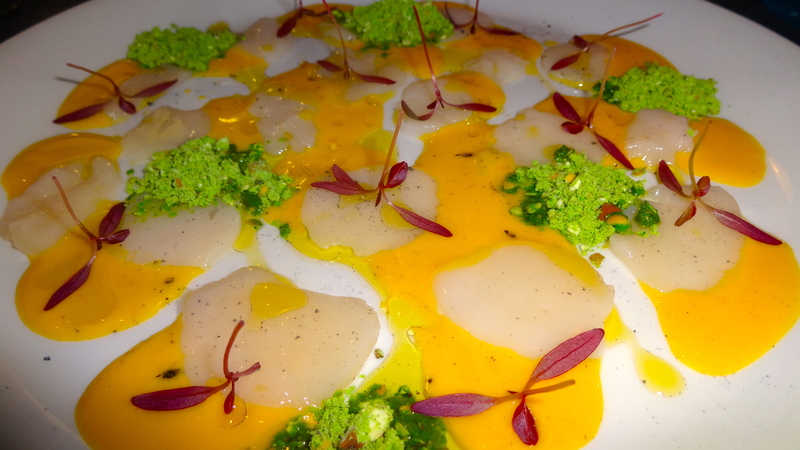 Raw Scallops with Yellow Pepper and Mint Corn (7/10). 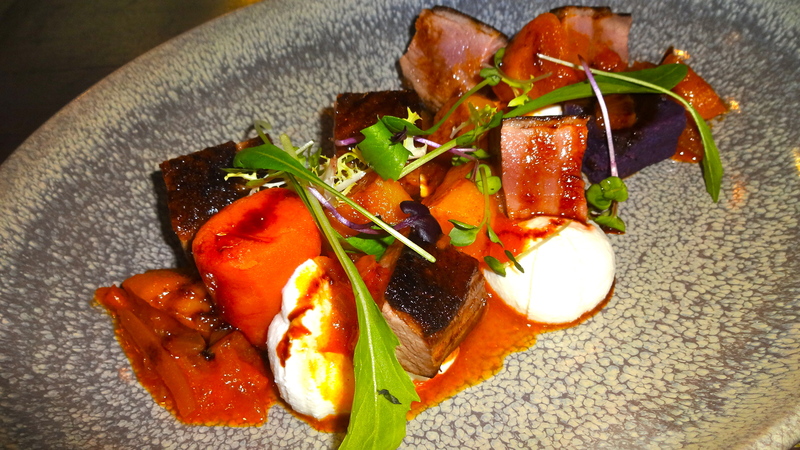 Duck Escabeche with Queso Fresco (8/10). 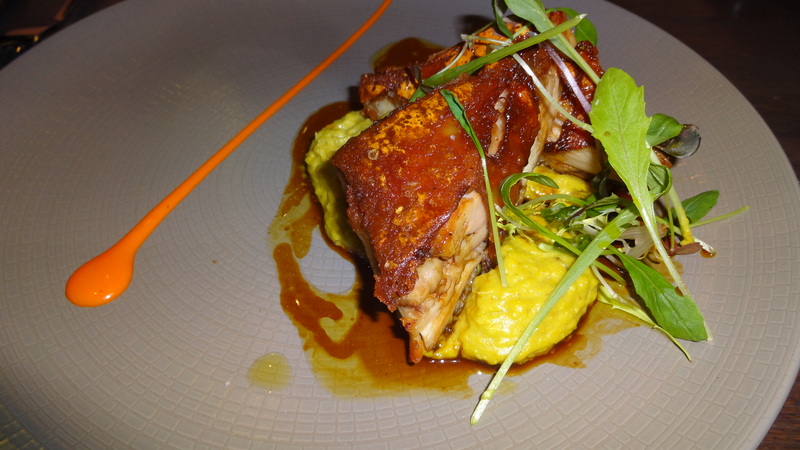 Suckling Pig with Corn Purée and Piquillo Pepper (8.5-9/10). 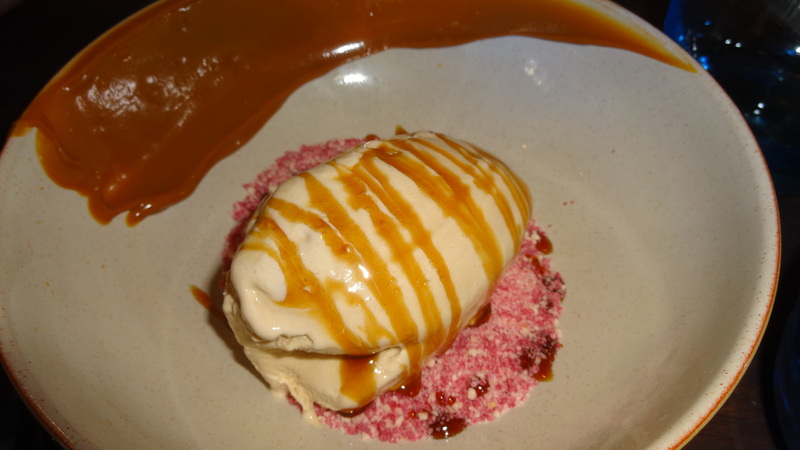 Dulce de Leche Ice Cream with Beetroot Emulsion and Powder (7/10). 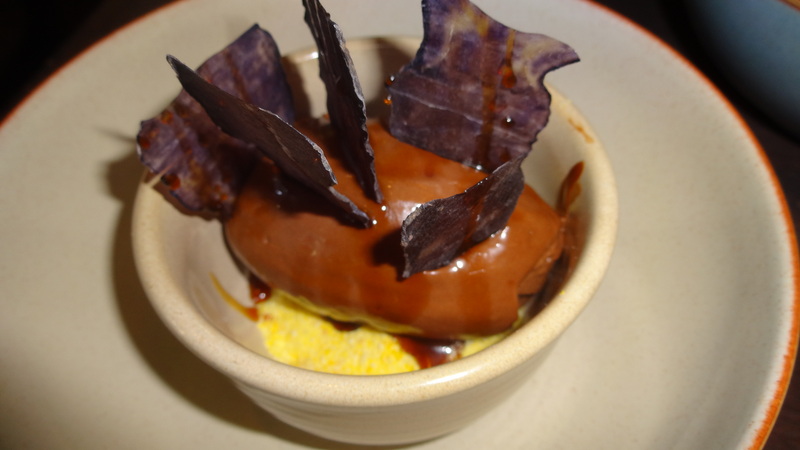 Chocolate Ice Cream with Blue Potato Chips (7/10). Yet another solid meal! I didn’t know what to expect from modern Peruvian food but boy was it delicious. 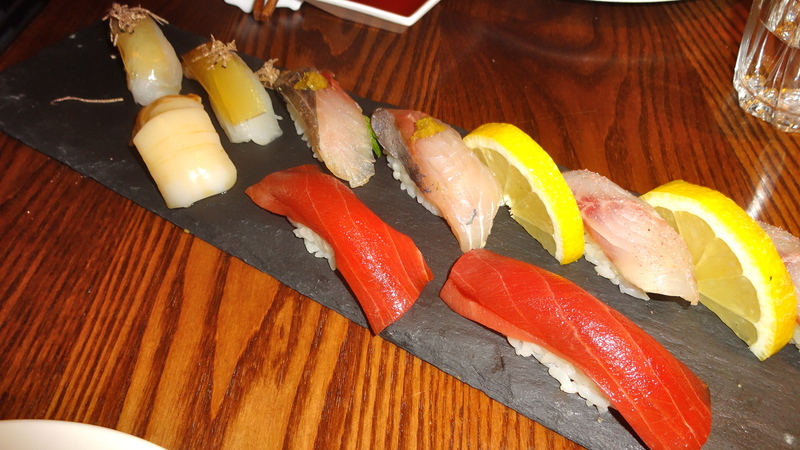 Eating here was also a learning experience since many of the ingredients that they used I had never even heard about! Highlights of the meal were the octopus (perfectly tender), suckling pig (very flavorful meat with crunchy skin), and the dulce de leche ice cream. Lima is definitely a place worth going to and I’d give them a 8/10 rating. My time in London was truly a gastronomic adventure. After living in Italy for so many years now, I tend to get tired of eating Italian food everyday even though I do love it. 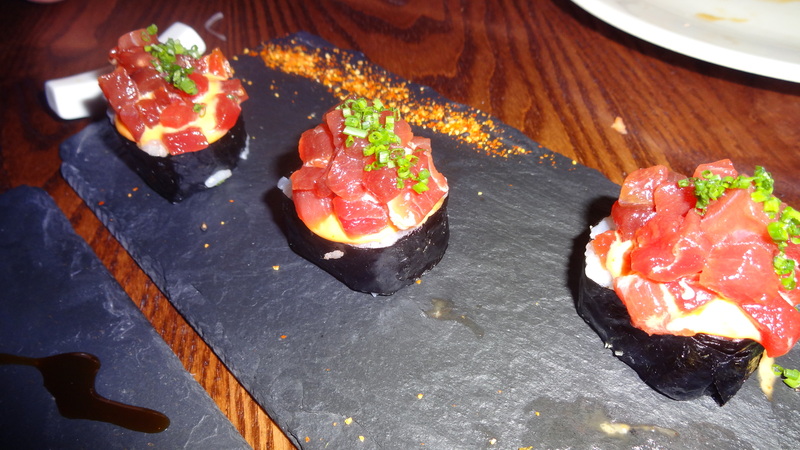 London was a great city to visit to explore different cultural foods. Amalfi Coast and the Island of Capri.